ParentsWeb, a RenWeb product, is a private and secure parents portal that has been set up for St. Catherine’s Montessori to allow you to see complete information specific to your child or children. ParentsWeb will be our new platform for which communication and information will be distributed. You can view and edit your demographic information, grandparent information, pickup and emergency contact information, and your child’s school information. Important forms to be completed are also kept on ParentsWeb. The Parent Directory will be posted on ParentsWeb in Mid-August. 1. 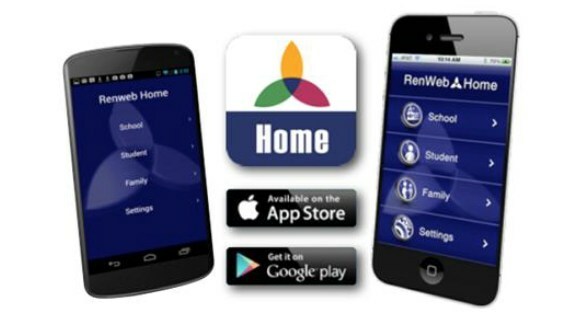 Visit www.renweb.com and click the login button and select ParentsWeb Login under the Login menu at the top or click here. 3. Type STCM-TX into the District Code field and your email address that receives school communications. The district code is not case-sensitive. 4. Then select Create Account. 5. You will be emailed a link to create a password. 6. Once you've created a password, you can login into ParentsWeb using District Code STCM-TX, your email address and your password. You will be taken to the Home Welcome Screen. Please read the Announcements, to view a list of all Required Forms. Currently, all items under Resource Documents which include medical and health forms will need to be printed and signed by you and returned to the school before August 9 in order for your child to attend the first day of school. The WebForms information should be pre-populated with information your family has already provided to the school. If any information is incorrect or missing, please update as needed before August 9. During the school year, WebForms is where you would update any changes in your information. You can currently enter any volunteer hours that you had for the previous year, under the Family Information > Select Parent > Service Hours Tab and Add Service Hours. If you are having trouble obtaining your RenWeb login, please contact Bruce Moses at itmanager@stcathmont.org. If you would like further assistance, you can also come to the school for one on one help. There are multiple ways to use ParentsWeb on your phone. You can use your phone’s web browser and save the ParentsWeb page to your phone’s Home Screen. This page will show you basic information from ParentsWeb under School and Family. There are several buttons under Student that are not turned on nor relevant to St. Catherine’s, which can be ignored. This app is an optional enhancement for using ParentsWeb that is currently offered by RenWeb. It is not a required to use for the ParentsWeb portal at St. Catherine’s Montessori.